The Aidan O'Brien-trained Gleneagles won the 2015 QIPCO 2000 Guineas by two and a quarter lengths from French raider Territories, with a further three-quarters of a length back to Ivawood in third. 50/1 shot Bossy Guest filled the frame in fourth. Despite proving relatively uneasy in the market before the off, Gleneagles could be called the winner from some way out as he moved stylishly into contention, took the lead inside the final couple of furlongs and maintained the advantage to the line. Territories and Ivawood finished to good effect but were never going to overhaul Gleneagles, who seemed to win with a fair bit in hand. 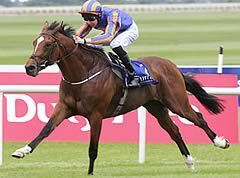 Winning rider Ryan Moore was impressed by his mount’s performance, declaring: “He’s a real, proper horse. He travelled like the winner throughout and they couldn’t lead him long enough”. Winning trainer Aidan O’Brien echoed the comments of Moore, saying “he’s a great traveller and has always shown a lot of speed. We will look to keep him to a mile". Gleneagles, a son of super-sire Galileo, is a brother to Marvellous, winner of last season’s Irish 1000 Guineas; his dam is a sister to the top-class Giant’s Causeway, winner of prestigious races such as the Coral-Eclipse, Juddmonte International and Irish Champion Stakes. Group 1-winning juvenile Gleneagles was first past the post on five of his six starts last term, but was controversially demoted in the Qatar Prix Jean-Luc Lagardere on his final start of the campaign having edged to his right and hampered a couple of his opponents, including Territories. Gleneagles asserted his superiority over that rival in no uncertain terms in the 2000 Guineas, however, and his winning performance is likely to earn a Timeform rating in the mid-120s. For context, Night of Thunder, who won a stellar renewal last year, was rated 127, while Camelot, Aidan O’Brien’s most recent winner, was rated 123. With Gleneagles unlikely to be aimed at the Investec Derby – which is run over half a mile further than the Guineas – the John Gosden-trained Jack Hobbs, so impressive in winning a Sandown handicap recently, has been promoted to the head of the betting, trading as a general 6/1 shot. Elm Park, a late non-runner at Newmarket, and John F Kennedy, who hails from the Aidan O’Brien yard, are also towards the head of the market. The first race in the QIPCO British Champions Series and the curtain-raising Classic of the British Flat season, the QIPCO 2000 Guineas is open to three-year-old colts and fillies. It’s run on the Rowley Mile at Newmarket, over one mile (1,600 metres) in late April or early May. Although they only have to carry 8st 11lbs (56kgs) compared with the 9st (57kgs) on a colt’s back, fillies very rarely contest the QIPCO 2000 Guineas nowadays. They almost invariably stick to their own equivalent event, the QIPCO 1000 Guineas, in which they don’t have to take on their male counterparts. The last filly to triumph was Garden Path in 1944.